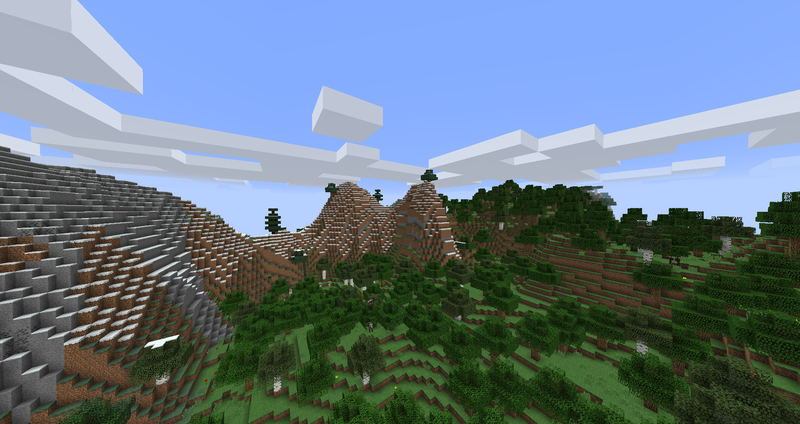 The mod Highlands adjusts Minecraft terrain using the same parameters as customized worlds along with a few other changes that are not possible through customized world settings. This preset was adapted from the one used in Highlands with some small differences. It will generate terrain that looks identical to how the vanilla biomes look in a Highlands world, with no mods required. The result is a realistic world with rolling hills and mountains that can be tall, but rarely have overhangs or sheer cliffs. This looks pretty nice. Much better than default at least I'll consider using this. The highlands mod link in the OP was incomplete for me. Here is a link to the highlands mod. Intrigued by the generation. May give it a try this weekend, thanks for sharing it.